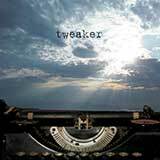 Founded by Chris Vrenna in the late 1990s, Tweaker's musical style incorporates synthpop, progressive rock, modern jazz and electronica genres, and is characterized by a generally melancholy and sombre sound with distinctive album artwork to match. 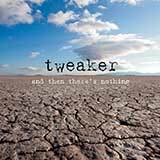 With tweaker's 2nd album, 2 a.m. Wakeup Call, Clint Walsh was announced as a permanent ﬁxture to the band. While Vrenna and Walsh supply most instruments and electronics, many other famous musicians have lent their voices and talents to Tweaker, including Robert Smith, David Sylvian, Burton C. Bell, Craig Wedren, Will Oldham, Hamilton Leithauser, Buzz Osborne, Jonathan Bates and Johnny Marr.